What were our goals for 2017 and their results? Last year, we wrote our goals for this year. Looking back, I would say that we've made progress on our content and quality, invested in our video efforts and improved communication in our global team between editors and developers. We didn't accomplish all that we had ambitiously set out to do, though. There's a lot of work to be done, especially at the community level, for example. There were several reasons that we didn't accomplish all we had set out to do with the community this year, though I won't go into the details since what's more important is what we intend to do with it next. Many users are asking for a new and improved AndroidPIT app, but our focus (for now) is on the website and forums. Neither have had updates in a long while, and are beginning to look a bit dusty. So we want to refresh them step-by-step to improve not just the look, but also the usability. This year we introduced some new topics on AndroidPIT: AR/VR, smart home, wearables and fitness. We now have Expert Groups in our editorial department who cover these topics as a team. But these articles can be hard for readers to find. Since our website's navigation doesn't make it easy to browse through these article categories easily, we plan to transform our site to correct that in the coming year. Speaking of new topics...perhaps a new name? In May 2009, 9 years ago, AndroidPIT became a fully fledged project. At the time, Android was still new (and not too pleasing to look at, by the way), but each new app and each new smartphone generated really pure excitement. We had vibrant discussions with users, gave advice and had the opportunity to discuss things like rooting with enthusiasts. But that era has come to a close. Today, whether iOS or Android, smartphones are all pretty much the same. There aren't many features which aren't shared by all the competition. There was a time when we were amazed to see a fitness app that could track our jogging routes or a GPS for navigation in the car. But the novelty of using a smartphone has largely worn off. Times have changed. The wave of curiosity and enthusiasm which was once so great has now disappeared. That's why we're interested in branching out into new topics, because that's where tech is evolving. That said, it's not just about Android anymore. So we are considering changing the name AndroidPIT and making room for something new. To be clear, this does not mean that we won't be writing about Android anymore, but that Android (PIT) will become just one of the multiple categories of our site in the future. Nothing is set in stone yet, and obviously we will keep you informed as the changes roll in. We look forward to hearing your input and opinions in the comments! Saying goodbye is never easy. From my point of view, 2017 was a good year, even if the world was completely upside down in so many ways. But I'm sure that the year 2018 will have many, mostly nice surprises for us...like a new name for our website. 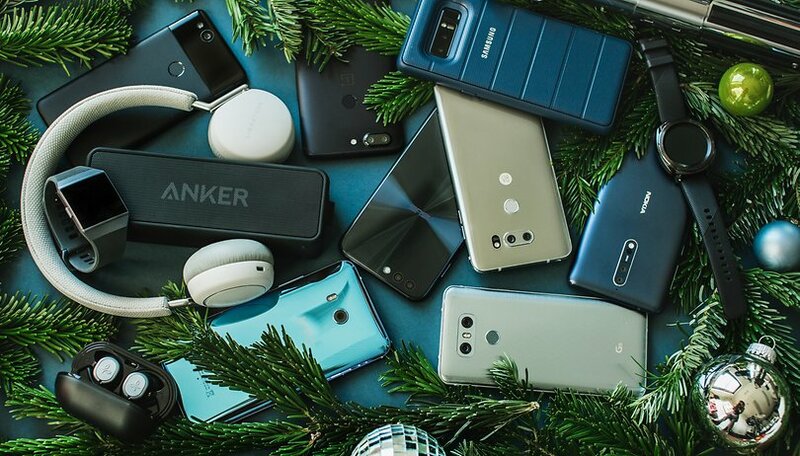 We, the whole AndroidPIT team, wish you and your families a nice last few hours of 2017 and a happy new year in 2018. We hope you stick with us in the new year. I agree that the novelty of Android has worn off. It's welcome if you branch out to other categories. Yet isn't it also true that the whole novelty with tech has worn off? Especially with all the bad publicity recently garnered by Facebook and YouTube. So what's going to make us wonder next? Definitely not the Internet of Things. Definitely not self-driving cars. Definitely not Elon Musk's Hyperloop. Give me some ideas. Please. You guys are doing a wonderful job. Keep up the good work. I too have the s8+, a very good phone. But I will give the s9+ a look see. I do like the duel camera's & 6gb's. If they make battery larger than 3500mamp I will consider. If not I can see me keeping the s8+ for another year. I sure do love the display, camera & battery! Very satisfied with it!